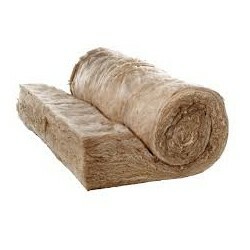 Flexible glass mineral wool quilt which is lightweight, resilient and non-combustible. Ideal for ceiling soundproofing and heat insulation. Each roll measures 9170mm long x 1200mm wide x 100mm deep.